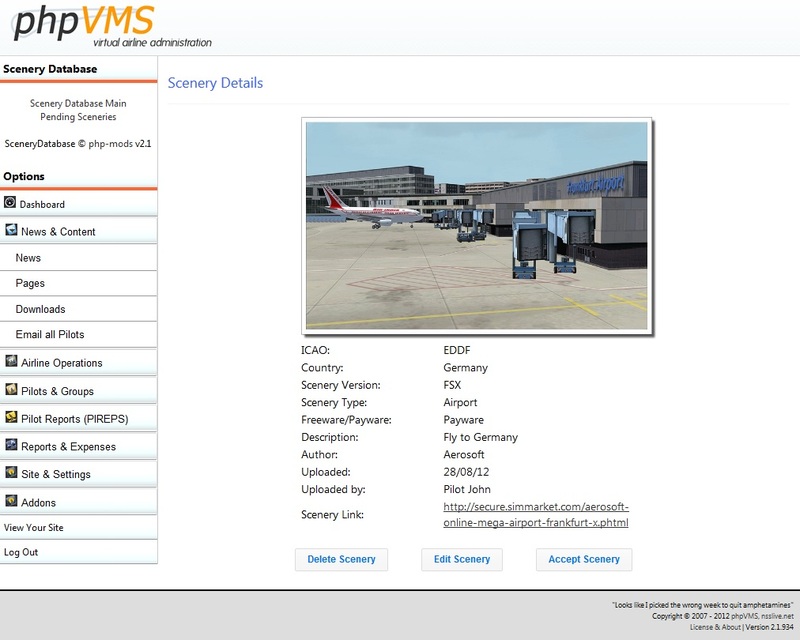 Scenery Database Module has been developed by PHP-Mods in order to give your pilot's the chance to share the airport sceneries they like with the other pilots of your virtual airline. Of course the sceneries have to be accepted by a member of the Staff Team. The pilot can add a new scenery including some information about it. The new sceneries are not uploaded directly. A member of the staff has to accept them first. The search function can be used from your pilots in order to find out the scenery they want. 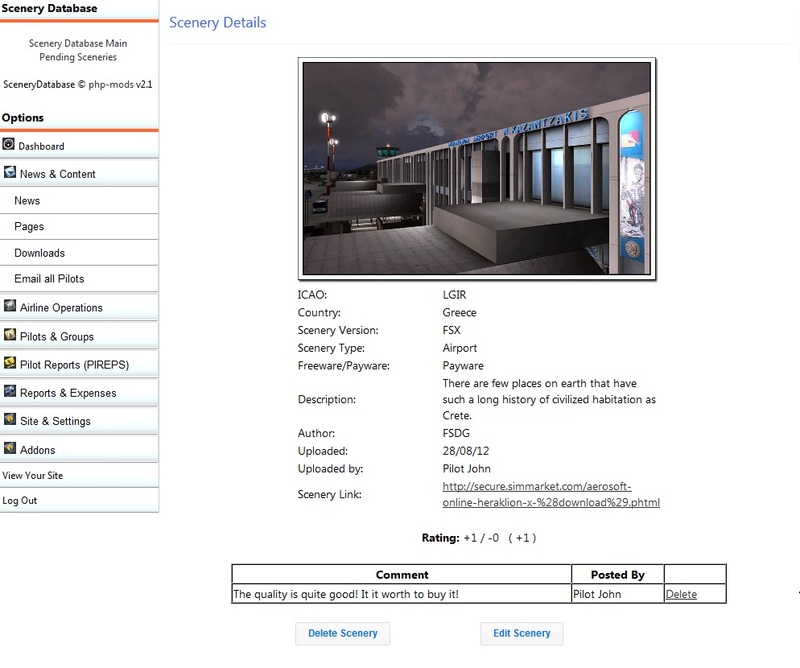 Comments-reviews and rating can be set to a scenery by every pilot. 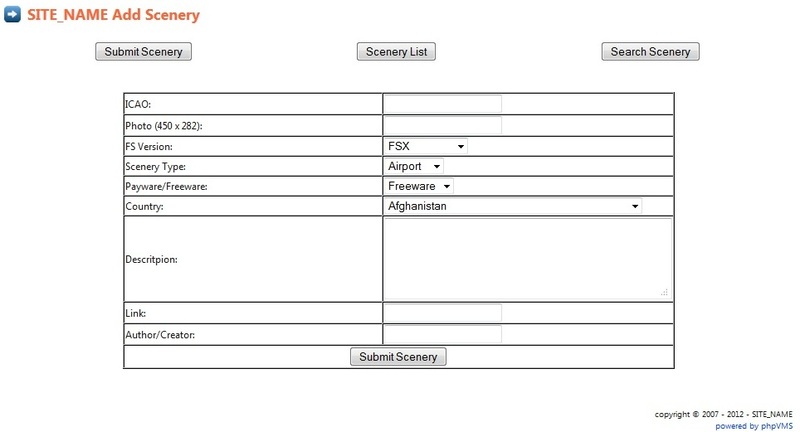 As an admin, you have the right to edit or delete a scenery or a pilot comment-review. 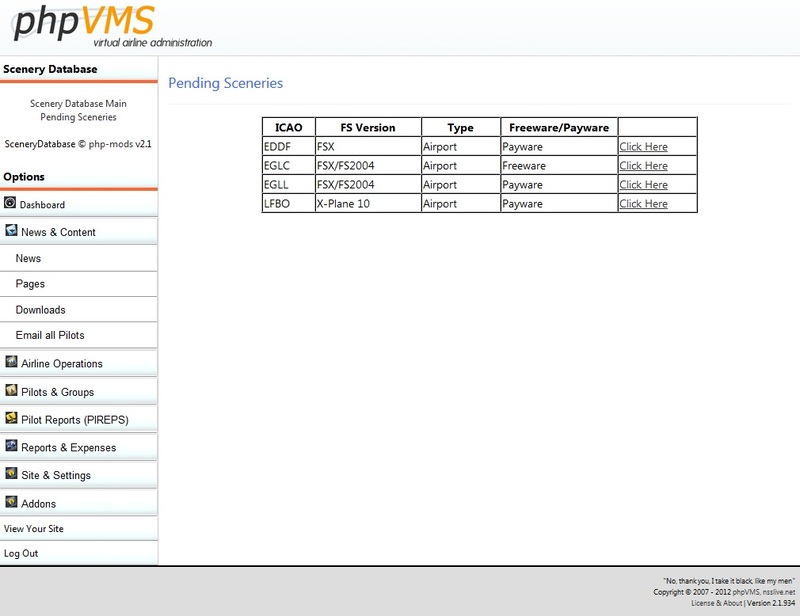 The following installation steps have to be followed by those who have never installed any version of the Scenery Database Module. 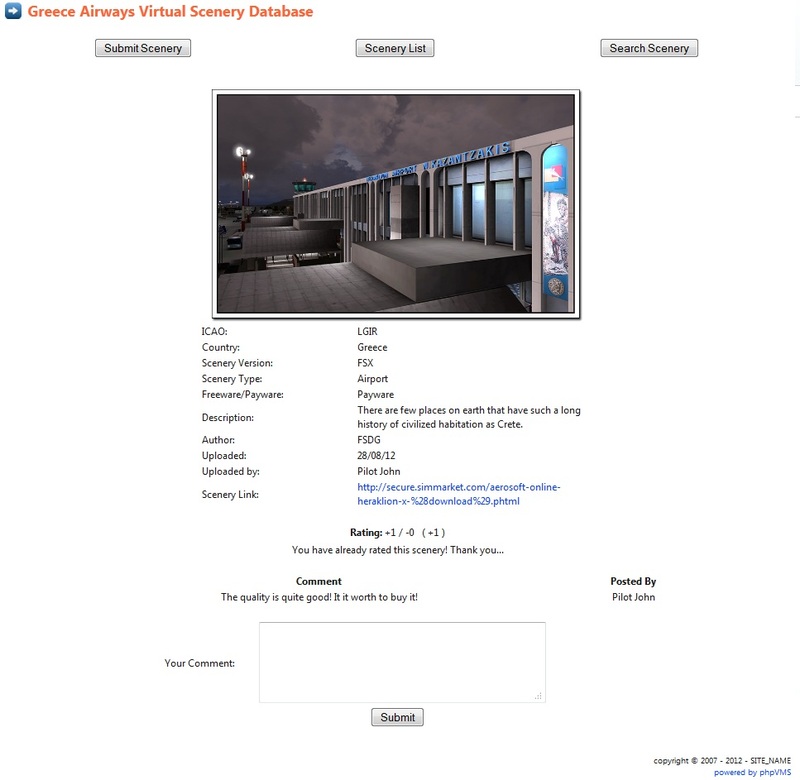 Unzip the Scenery Database File you downloaded from our system. Go to www.yourdomain.com/SceneryInstallSql in order to run the SceneryInstallSql folder. This will install all the database tables.